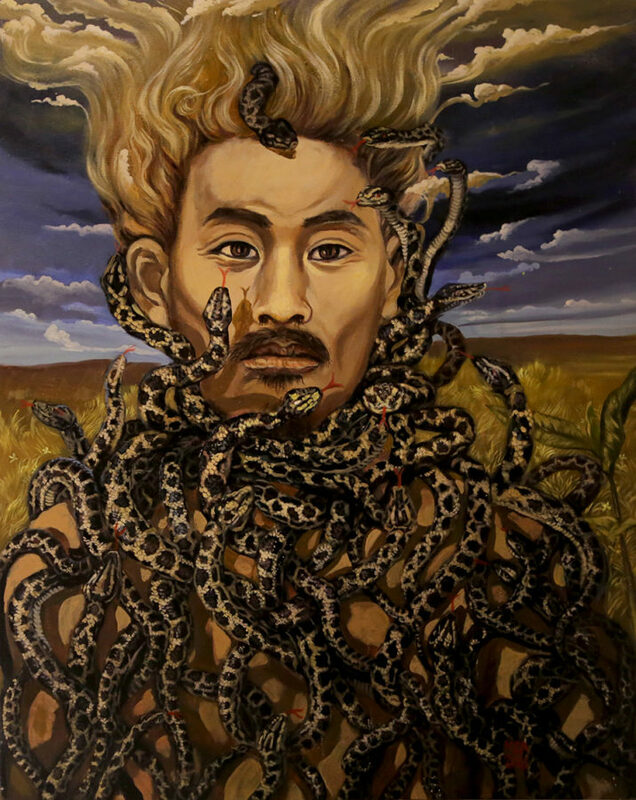 Min Zaw Aung has grown to hate ordinary creations and has looked for something different. He has painted a girl but was not satisfied. So, he changed her eyes to those of a snake and dressed her in snakeskin. 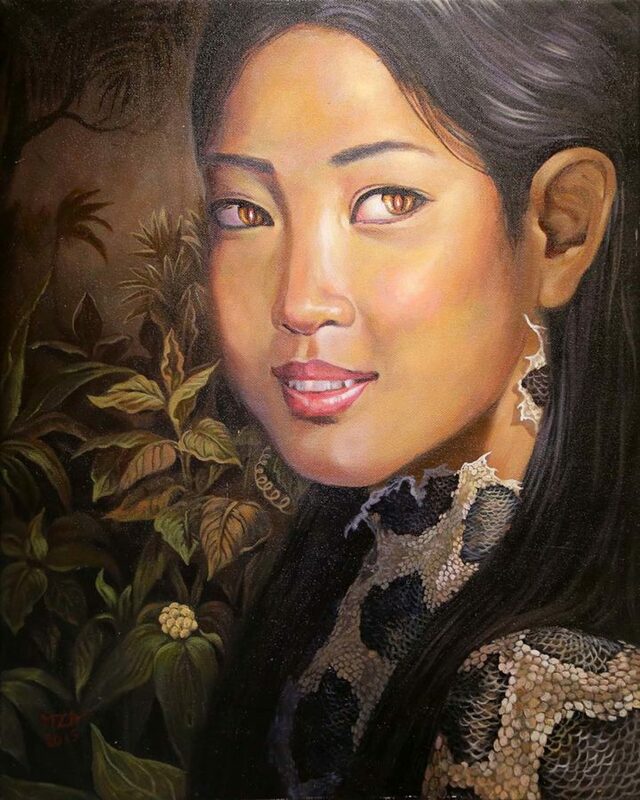 “The eyes of this girl resemble those of a snake. They captivate,” he said. 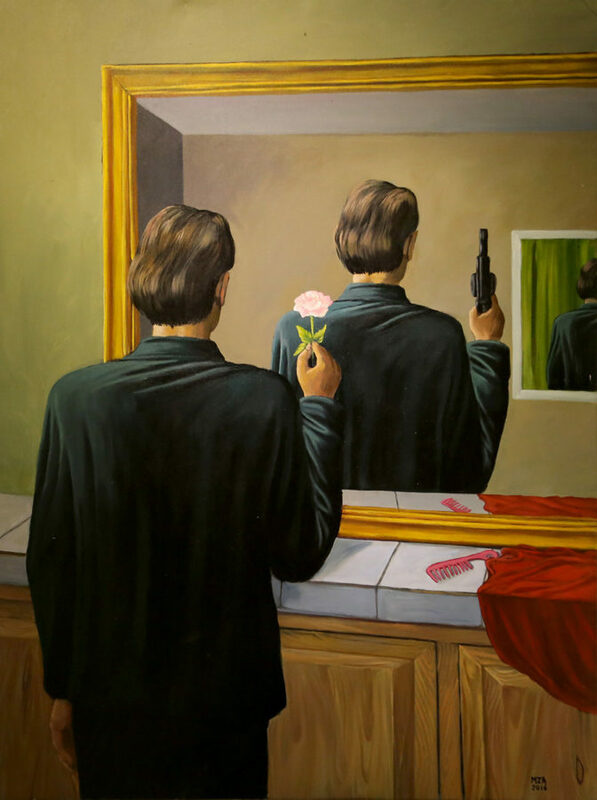 In another painting, a person is holding a flower but in his reflection in a mirror, a gun is in his hand instead. “In social interaction, people think other people will respond the same way if they are good to them. But not every person will be good back to you even though you are nice to them,” he said. “I don’t want to draw complete figures like in realism. I want to leave something to the imagination for viewers. 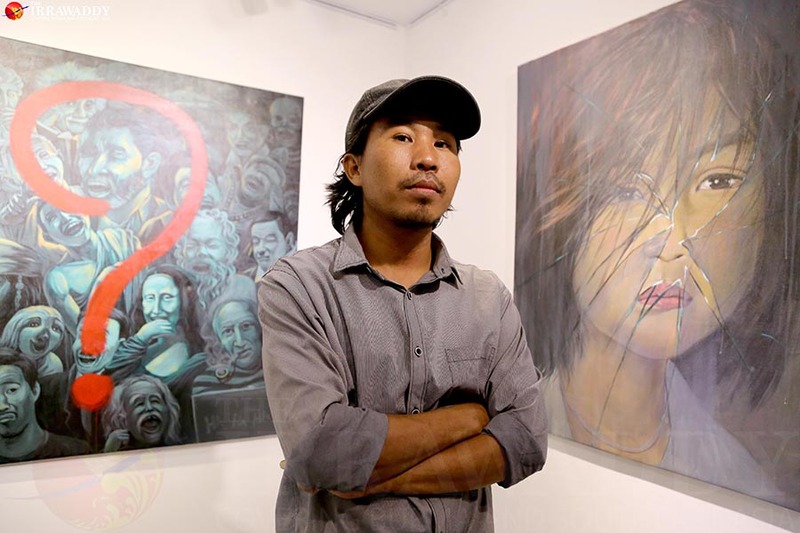 I want inspire them to think beyond,” said Min Zaw Aung, the 32-year-old artist from central Myanmar. 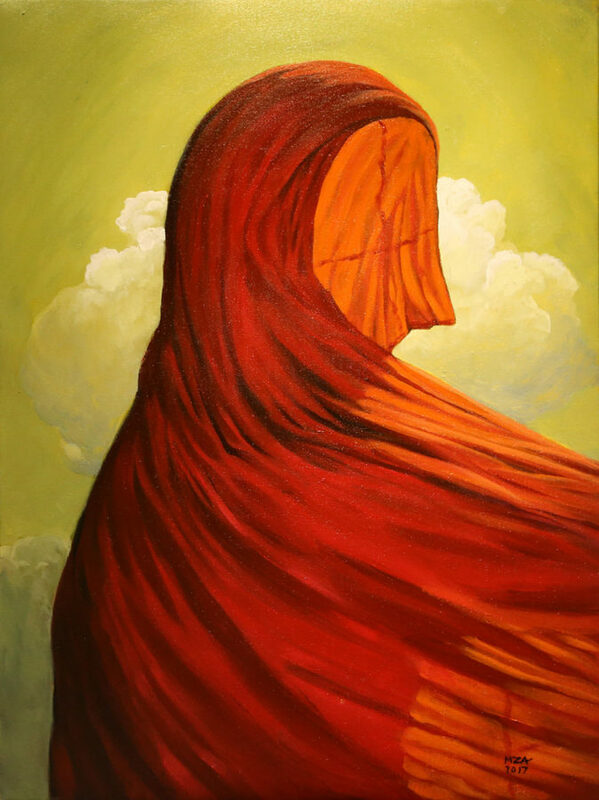 Though he is particularly keen on surrealism, most of his paintings describe Buddha’s philosophies, as he used to live in a monastery with his relative monks for many years. 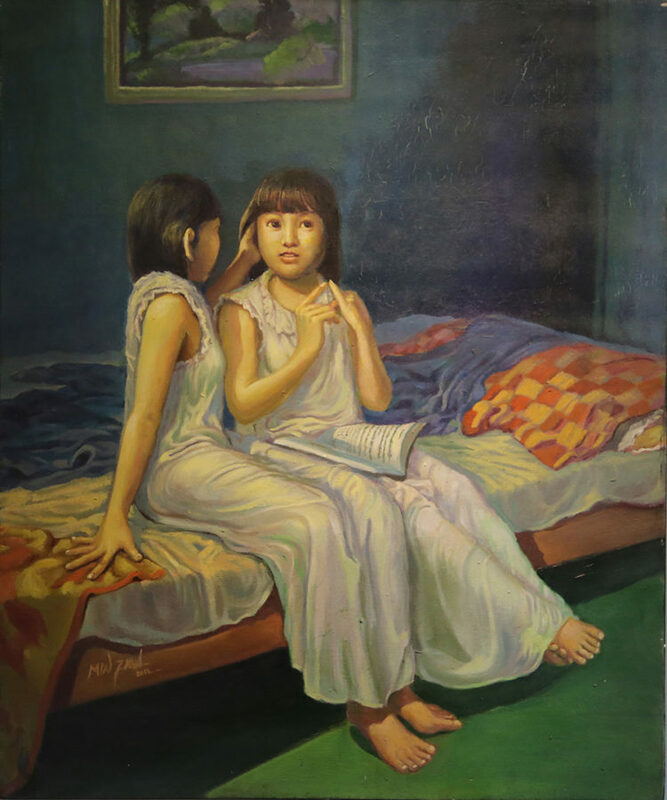 Since graduating from Yangon National University of Art and Culture in 2007, he has participated in several group art exhibitions. 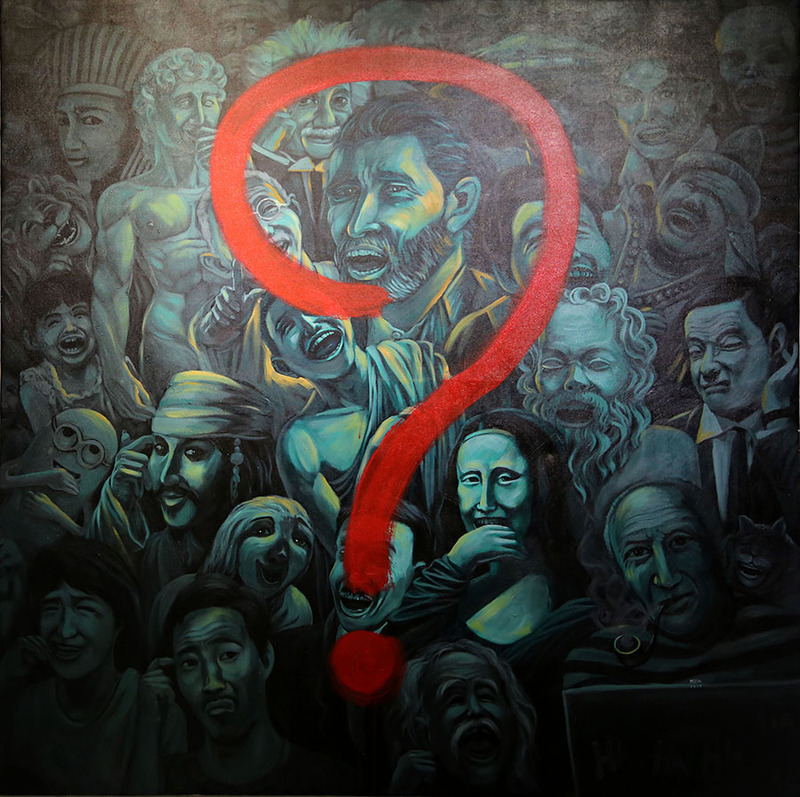 But he has organized his first exhibition only recently at Bo Aung Kyaw Street Art Gallery. 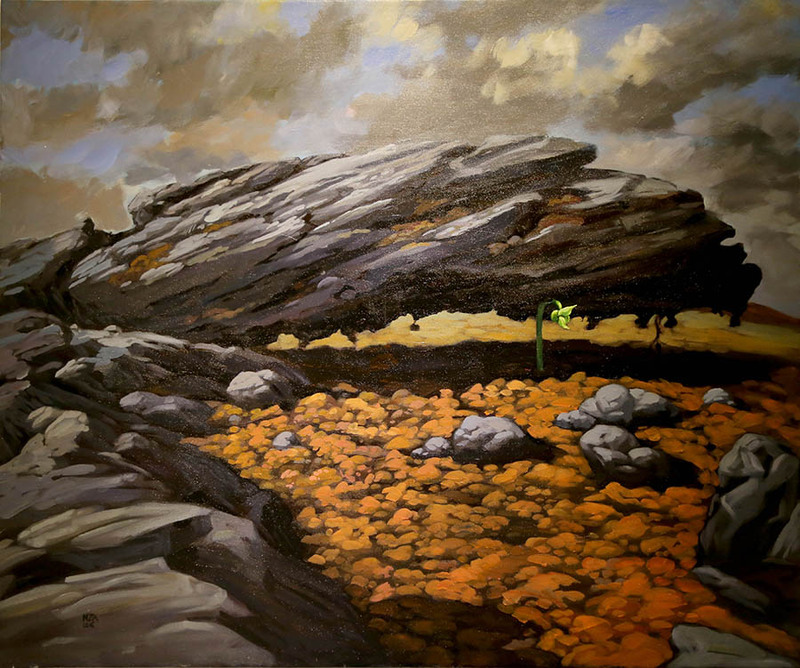 The artist is displaying most of early works at the exhibition ‘In My Memorial,’ which will be held through Tuesday. 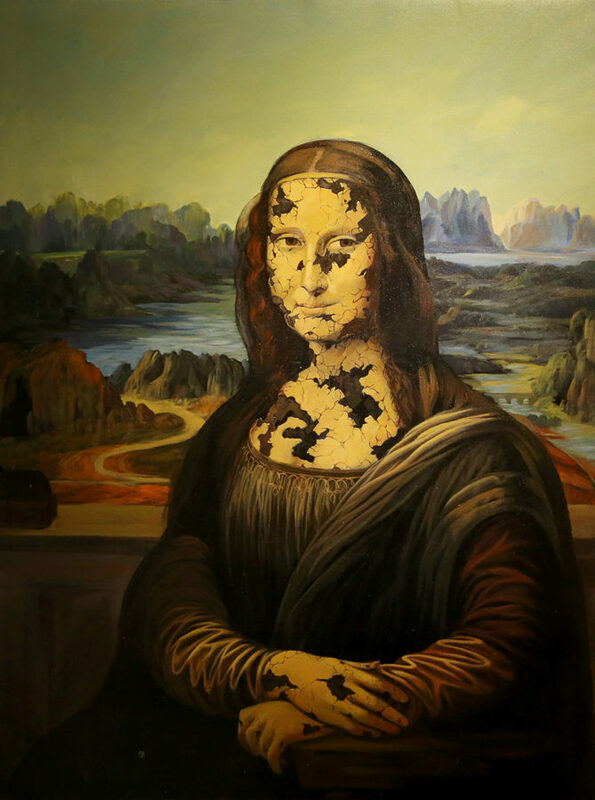 More than 20 paintings are on display and can be purchased for US$150 to $1,600. 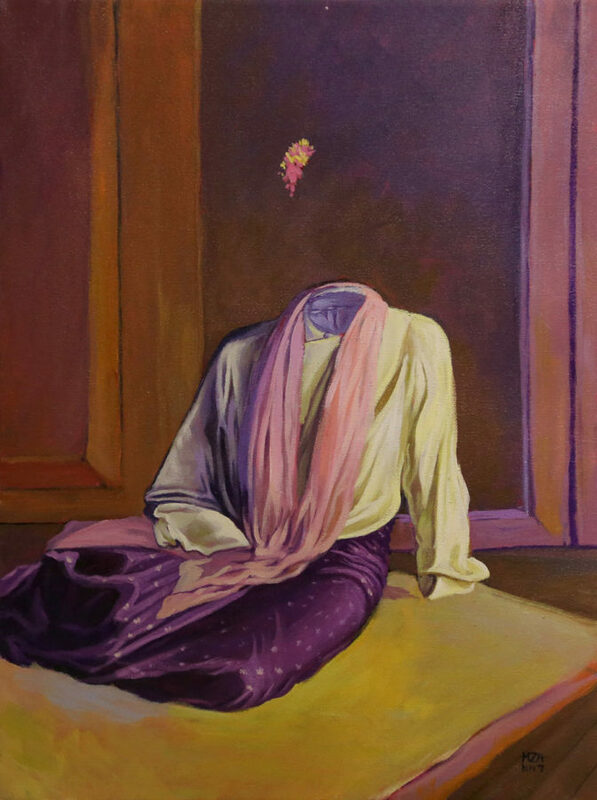 “Min Zaw Aung has created his works with boldness, confidence and great creativity, and I found no fear or nervousness in his paintings unlike the works of surrealist painters in the past,” said artist Myat Kyat.